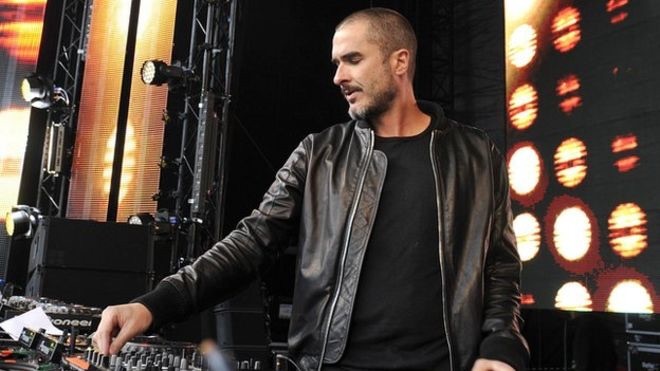 Noted DJ Zane Lowe, who has headed up BBC Radio 1's popular evening new music show for over a decade, is leaving the broadcaster next month to join Apple, reports BBC News. Lowe has won a number of awards for his radio show and other work over the years, and was nominated for a Grammy Award this year for his role in writing and producing Sam Smith's album "In The Lonely Hour." Zane said: "I want to thank everyone at Radio 1 for their support and friendship. "The station has allowed me to share incredible music with the country's best music fans." During his time on the station, the New Zealand-born DJ has become well known for championing emerging talent and many acts have made their breakthrough after having one of their tracks named as "hottest record in the world" on Zane's show. While Lowe has apparently not publicly stated what role he will take on at Apple, The Guardian says it will involve the company's iTunes Radio streaming music service. Lowe's role will likely include more than iTunes Radio at some point, however, with Apple currently working toward a revamp of the Beats Music subscription streaming service it acquired last year. Part of the plan reportedly involves folding Beats into the iTunes brand and integrating it with OS X and iOS. As a result, there may be some changes in store for iTunes Radio, which has reportedly seen a lukewarm reception and has only expanded to Australia since its U.S. launch in late 2013, despite rumors of a number of other countries receiving access by early 2014. Hope he's taking a desk job. If there's one thing I don't want to hear while listening to music it's radio "personalities" trying to be funny or extreme or whatever they call their banter. Right up there where with ads on the list of reasons why I don't care about getting the antenna fixed on my car. You have obviously never listened to his show. Breakfast DJ he isn't, he only talks about the music which he knows intimately, hence, I guess, apple's offer. It would have taken a lot more than money to lure him over too, he will want to be part of something special in the music industry. Another dead end Apple is going down. Music (as a profit center) is dead while the future is in visual media (movies). Music had its place before everyone had screen in their pocket. Big news. He will be sorely missed. New iTunes radio channel imminent. Thanks for your post, that's almost exactly what I was going to say. That guy has no idea what/who he's talking about. Zane is a great choice. Next up add Fabio & Grooverider! There are no ads on radio 1. No ads but loads of pointless talking about rubbish in a really annoying way. These days I prefer radio 2s waffle to radio 1, less teenagery. Big loss for the BBC, big win for Apple. This guy really knows his music and I enjoy his evening show. Seems he is being replaced with Annie Mac which sounds like a good replacement.